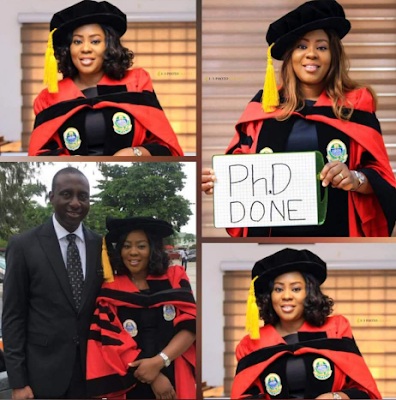 Ochuwa Momoh George, a mother of four who recently completed her Ph.D from the University of Lagos has been celebrated online after accounting her journey, crowned with a CGPA of 5.0. 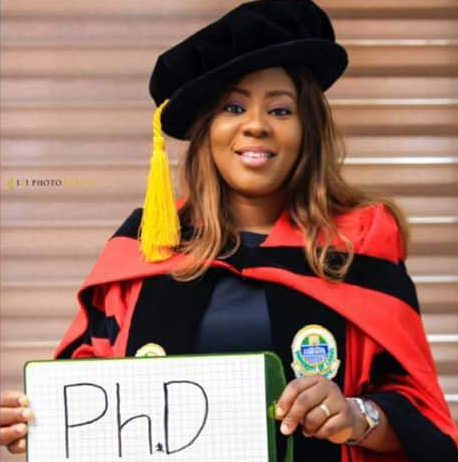 She wrote: “Finally, Ph.D done….I am so glad to announce that I have successfully completed my Ph.D in Environmental Toxicology and Pollution Management with a cgpa of 5.0/5.0! This journey has indeed been challenging…. amidst the ASUU strike extending this program for almost 2 sessions, the turbulent waters at one of my study locations in the Lagos lagoon that almost submerged the speed boat during one of my field trips, a full time job and 4 active sons….. Sometimes I wondered how I managed to scale through."